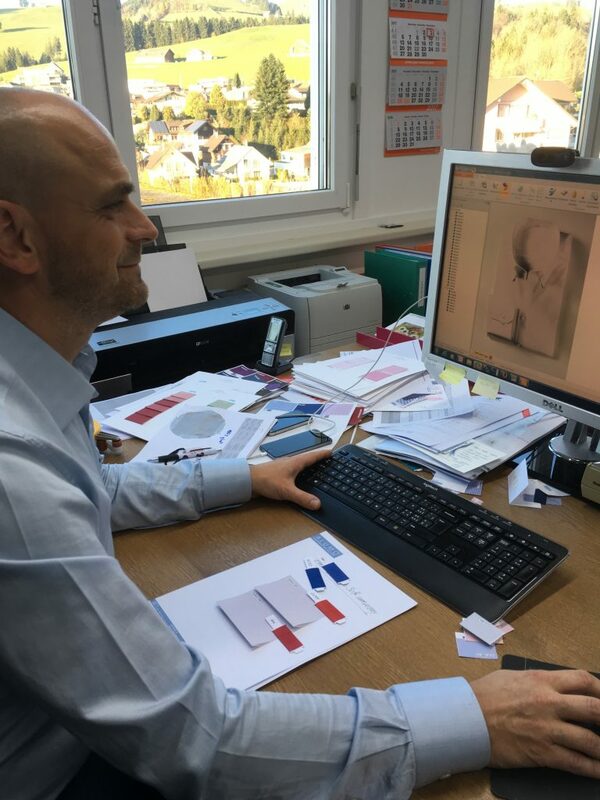 As Budd’s Senior Cutter, Darren Tiernan marks 30 years in the trade this year, the team at Budd thought that there could be no better tribute to his work than to ask him to design a commemorative shirting cloth. Big D swiftly threw himself into the task at hand, relishing the chance to revive an old favourite that he regularly cut when he was starting out in the late 1980s. Consulting with Head Cutter, John Butcher, who also had fond memories of this small checked cloth and its versatility, Darren set about sourcing old samples and engaging the looms of our kind friends at Swiss shirting mill, Alumo. 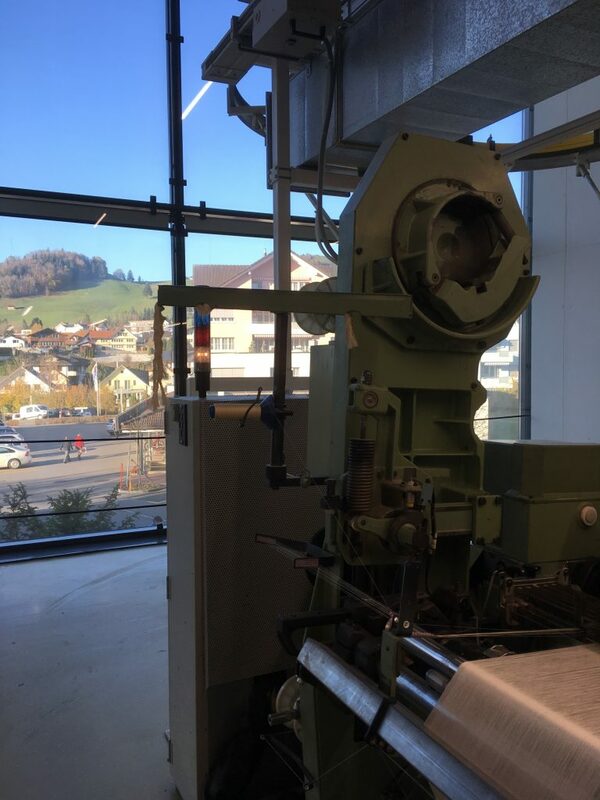 Set against the breathtaking backdrop of the Swiss Alps and just an hour or so from Zurich, the pristine Alumo mill in Appenzell is recognised as the world’s leading producer of the highest quality two-fold cotton shirt fabrics. Their standing at the pinnacle of fine fabric weaving stems from their exacting standards, and an incomparable dedication to quality and creativity that this year spans 100 years. 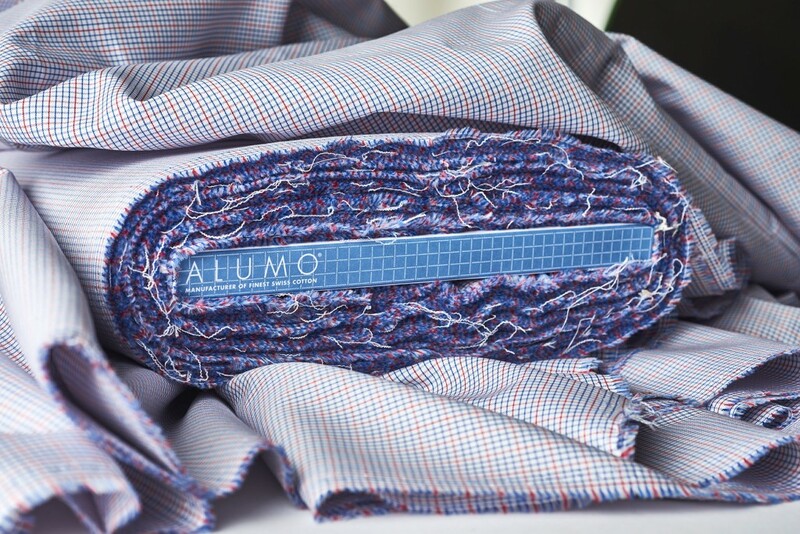 Perhaps the best example of their characteristically Swiss precision can be found in the fact that of the 26 million tons of cotton produced worldwide each year, only 3% meets the Alumo standard. The team at Alumo have a very hands on approach to their work and carry out all stages of their production under their one roof. There is an intimacy amongst the staff that reflects the close knit nature of Budd’s own team. 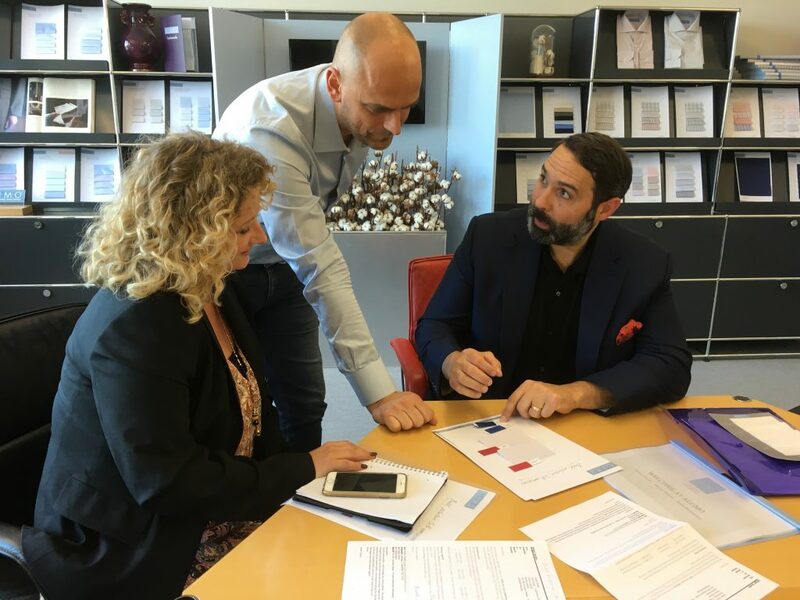 We work with them on a regular basis, our established rapport lending for a superbly easy and collaborative process when it came to putting Darren’s cloth into production. Darren had already outlined his idea with the mill when we visited in November, sending across samples and drawings so as to ensure the scale of the Tattersall check he had in mind was clear. 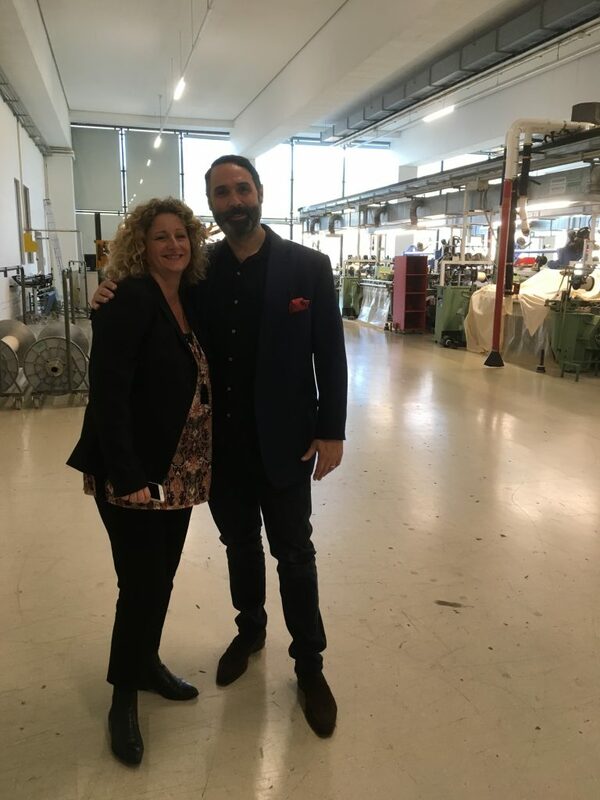 Upon visiting the Alumo team, he established the yarn quality and exact colours with the mill’s designer and CEO, Sandra Geiger. From there, the Alumo team worked the order into production, spinning, weaving and finishing the yarn within its immaculate premises. 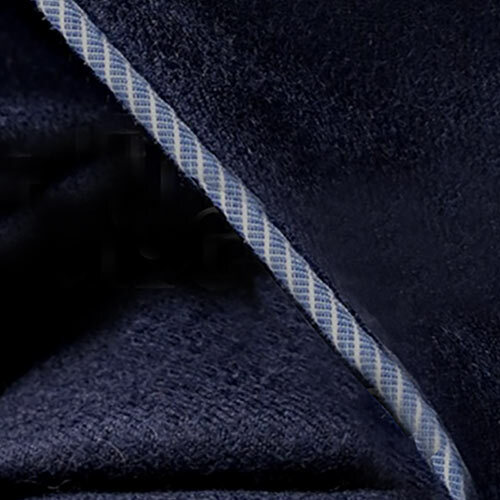 Unlike with tailoring cloths, many mills omit a selvedge (the strip that runs down the edge of a cloth, denoting its name/quality), however, with such a special reason for its creation, we could not resist adding our own anniversary selvedge, creating some detail and history along the way. Finally, several months on from our visit to the mill, the final cloth has arrived and has been well worth the wait. 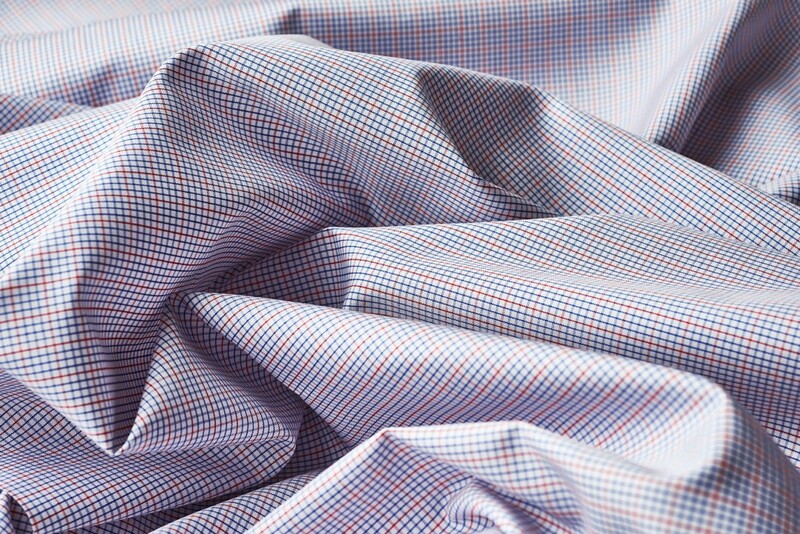 Woven to a superior 2 fold 100 cotton, it consists of a small, blue and scarlet Tattersall check on a white ground and perfectly fulfils the aspiration and expectation of Darren and the cutting team. Darren wanted a cloth that works equally well whether worn in a business or dressed down capacity and his Anniversary cloth perfectly fits this brief. It is a fitting tribute to one of the trade's finest cutters. Let's hope we get to celebrate him again for his fortieth and fiftieth milestones! 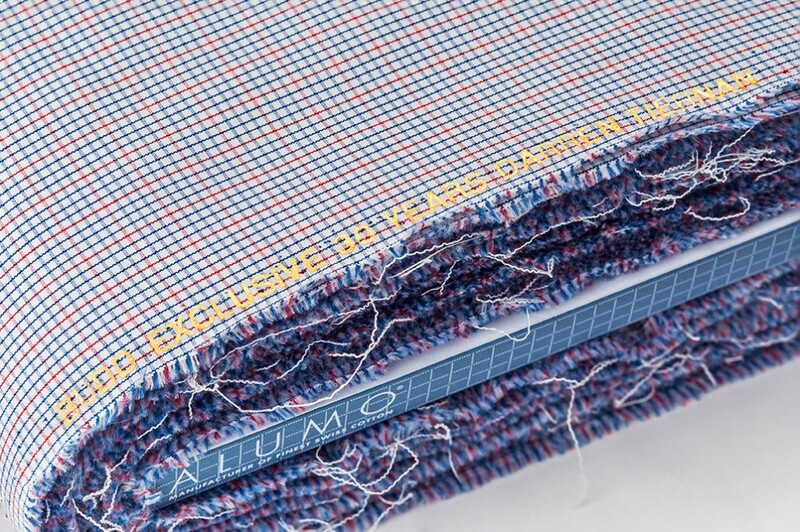 The 30th Anniversary cloth is available exclusively to Budd by limited edition. 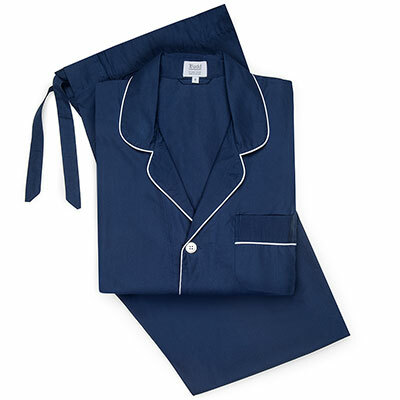 It is initially be available to our bespoke and made to measure customers, before a small roll out into our ready to wear shirts and nightwear later in the year.